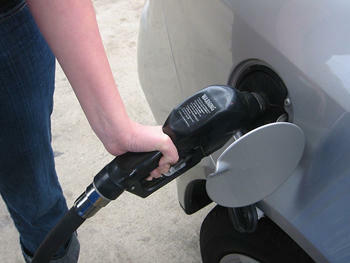 A federal mandate and a record supply are leading to the low gas prices in the St. Louis area. The monitoring site GasBuddy.com says the average price at the pump is $1.56 a gallon (as of Feb. 12), roughly 60 cents cheaper than a year ago. And even with a recent spike in the past couple of days, at least one expert says prices are still poised to go even lower. There is a record supply of gasoline specifically formulated for winter, which will have to be sold before the Environmental Protection Agency’s June 1 deadline for stations to pump only cleaner burning summer gas. 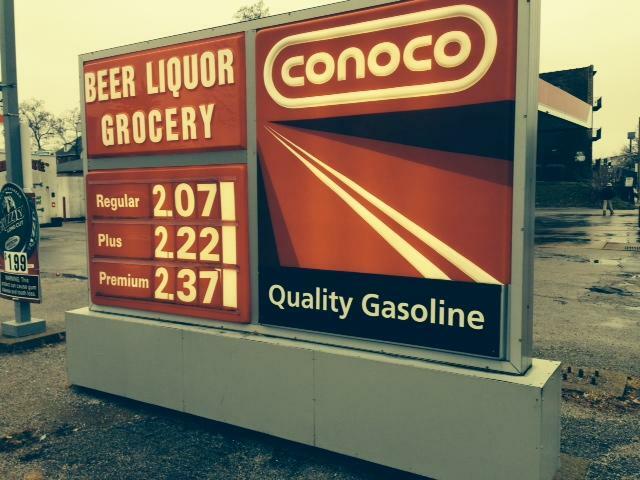 “A bit of a clearance sale here, the old merchandise is going to have to be liquidated,” said Patrick DeHaan, senior petroleum analyst with GasBuddy. He says the only way to move the record winter gas supply is to give stations incentives to buy higher volumes. The annual transition from winter to summer gas actually takes a few months. It begins in mid-February with refiners starting with their pipelines and storage tanks. The cleaner burning gasoline will gradually enter the system, which should be purged of the winter formula by the beginning of June. And the new blend is likely to bring some higher prices. “Once this winter-spec gasoline is liquidated from the system, there may be a small slingshot higher, essentially going from cheap, winter gasoline – this clearance sale – to what you could call new merchandise,” DeHaan told St. Louis Public Radio. EPA regulations and a gas glut are not the only factors at play. The price of crude oil continues to be a main culprit as it trades around $30 a barrel. That comes as supplies of crude continue to grow. “In the last week, crude oil inventories rose over 500 million barrels for the first time in history,” said DeHaan. That stockpile could keep prices down for several more weeks. 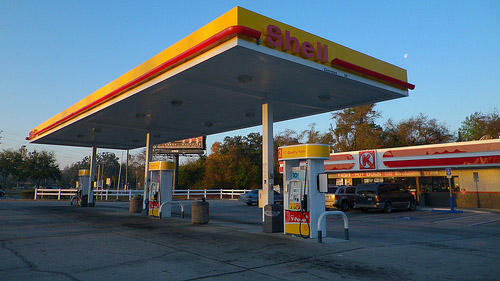 GasBuddy says it monitors more than 900 gas stations in St. Louis each day. The region’s average is lower than the national mark of $1.70 a gallon, which is nearly 53 cents below a year ago. St. Louis prices are slightly higher than they were during the recession. But when you take the 2008 downturn out of the equation, the average cost of the pump has not been this low in more than a decade.